March 15th, 2017 | Categories: Guides, Home Staging Tips, and Uncategorized. Tags: behr, dunn-edwards, home design trends, home staging atlanta, home staging Colorado, home staging costs, Home staging denver, home staging seattle, jeff lewis, painting, pantone, professional home staging, and spring paint colors. I’m sharing my favorite spring paint colors 2017. Repainting for an upcoming home staging? Maybe you’re just giving the house a refresher for spring. 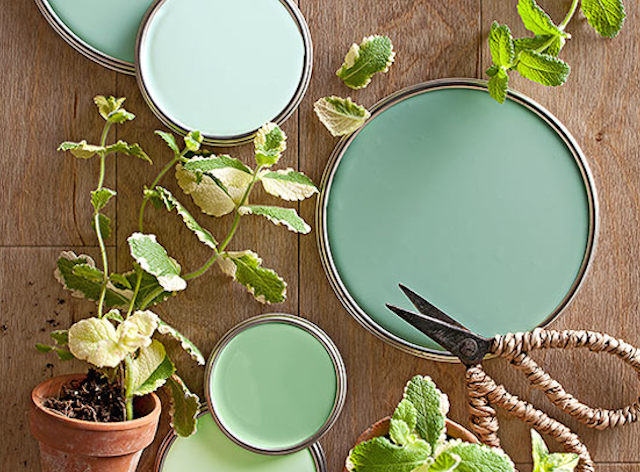 Either way, I’ve got the scoop the best green paint colors for spring. Wondering what the hottest spring paint colors 2017 are? Spring is a time of renewal; when the flora and fauna sprout new leaves. It’s no question that green is on-trend for Spring. In fact, you probably remember we named greenery in general – in the form of plant life and decor – one of our biggest kitchen design trends for 2017. Here are some of my favorite shades of green spring paint colors for 2017. I’d be amiss if we didn’t mention Pantone’s color of the year in our top paint colors for spring 2017. Greenery is a bright and zesty shade of green. It has yellow tones that evoke the first days of spring making it perfect for a bold-statement accent wall or kitchen details. 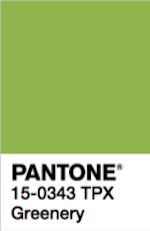 Greenery is the paint color that embodies nature’s vitality. It is a sure way to make your home and home staging pop! If staging a house to sell, incorporate Greenery into your staging program with accent pillows, or other fun details. From kitchen back-splashes to art, there are lots of imaginative ways to incorporate this year’s trends into your home staging program to target the home-buyer you’re looking for! 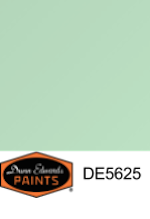 Spring paint colors 2017 aren’t complete without this minty shade of green from Dunn-Edwards Paints. It will add a cool pop to any room. It’s the perfect paint color for your home staging company to use to create a zen bathroom bedroom in Denver or Atlanta. Mother Nature provides a touch of brightness without taking over the look or feel of a space. Looking to update the tile in your bathroom or add a green hue to the backsplash in your kitchen? Mother Nature’s light blue undertones pair well with a light beige or grey palette and would be a perfect addition to a coastal home or any home staging design. If you’re planning to sell your Orange County abode, weaving in a hint of Mother Nature into your home staging program would add an extra layer of seaside serenity. Hovering between studious and serene, Lazy Lizard from Behr makes the perfect accompaniment for a home-office or studio – it especially pops when paired with stark whites. Paint the walls from floor to ceiling or keep the accents small when staging a house; this paint color for spring has subtle yellow undertones that will brighten any space. Evocative of the native flora and fauna of Denver and Boulder or the early spring foliage around Seattle or Atlanta, Lazy Lizard works to bring the outdoors in. Now you can create the ideal home staging design for your home’s location. Home staging in Colorado, home staging in Seattle, or home staging in Atlanta has never been easier than with this spring paint color 2017. This is the lightest shade in our paint colors for spring 2017 list. 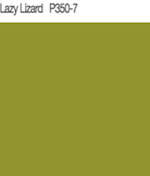 Aloe is color from from flipper, designer, and TV show host Jeff Lewis’ line of custom paints. This hue evokes a kind of coastal serenity with its hints of blue. It is perfect for Newport Beach home staging, home staging in Los Angeles, or even staging a house in San Francisco. This muted neutral green strikes the perfect balance or personality and neutrality that is ideal for home staging. 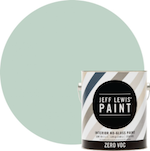 We especially love this color for its low VOCs, which means these paints are great when you want to limit the solvents released into the air as the paint dries. This low VOC color makes home staging with a new color palette a whole lot easier. The perfect spring paint colors can help keep home staging costs in check. Planning on picking the perfect hues for staging a home and selling this spring? Whether you’re in Denver, Dallas, Newport Beach, or Austin, connect with the top home staging company in your area right now for a free home staging cost estimate – then be sure to check these essential items off your home-selling essential to-do list.